I am immersed in significant historical dates this week. Later in the week or next week I will be talking about a project based upon another historical event which consumed nearly a week of my time and *nothing* else got done while I finished it…but it was so worth the headaches and sleep deprivation. 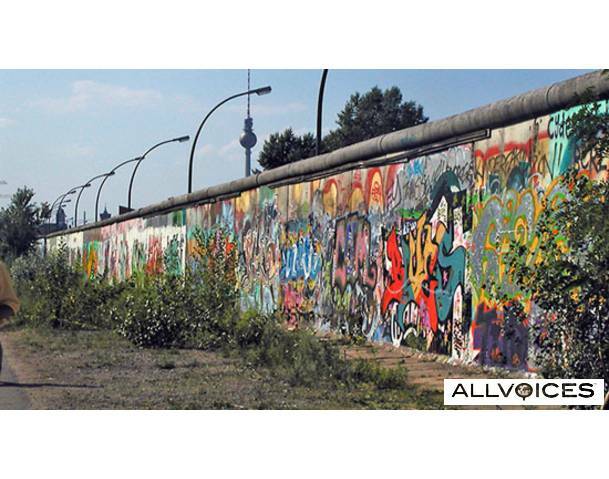 The anniversary of the fall of the Berlin Wall is today. It came down in 1990, twenty-eight years ago. I’m not sure if I’m depressed or pleased that I remember watching it happen, with my jaw hanging open. 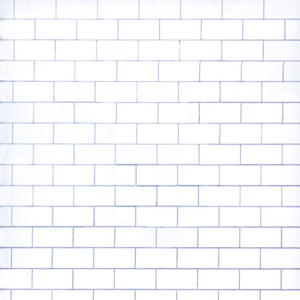 I wrote about the Wall in 2011, so I’m bringing it forward for today. -t.
It’s difficult to get your head around the fact of the Berlin Wall, and communism in general, but it was a fact. And today, back in 1990, the Berlin Wall was torn down. I remember watching it on television in stunned amazement. I grew up with communism. The end of the Berlin Wall was simply amazing. A year or so later, I got to see Pink Floyd live in Perth, Western Australia, when they did their The Wall world live tour to celebrate both the tenth anniversary of their landmark album, and the falling of the wall. 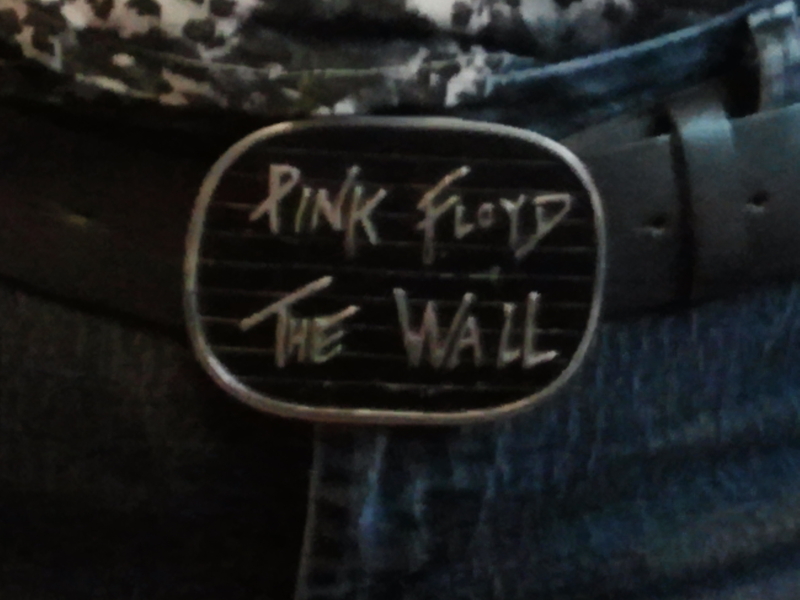 Two years ago, my death metal freak son gave me a Pink Floyd The Wall belt buckle. Normally I don’t go for the big cowboy style belt buckles, but I made an exception for that one. I’ve been wearing it ever since, every time I wear jeans. Some of you may have seen it at conventions. The leather on the belt wears out every now and again, but I replace it and the buckle goes on. 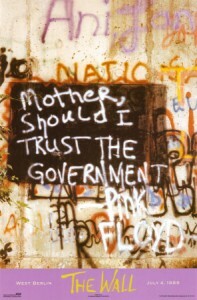 I do love Pink Floyd, especially The Wall. But the album has a double meaning for me, and the belt buckle has a triple meaning.